LAHORE: (Thursday, December 21, 2017): Punjab University Department of Information Management (DoIM) organized two-day workshop on 'The Science & Art of Literature Review in Research'. 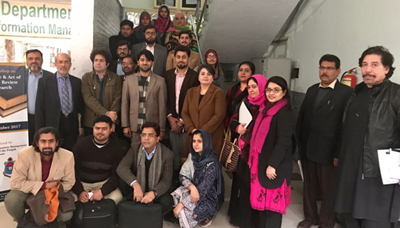 Chairperson DoIM Prof Dr Kanwal Ameen, Prof Dr Khalid Mahmood, Dr Nosheen Fatima Warraich, Dr Syeda Hina Batool and Dr Saira Hanif Soroya delivered lectures on various aspects of literature review. 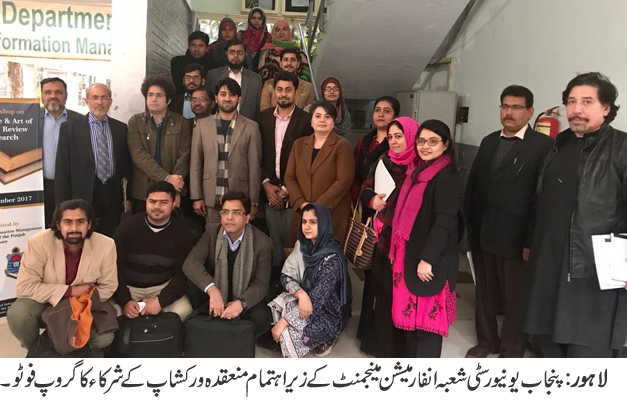 On the occasion faculty and doctoral students of PU and other universities throughout the country participated in this workshop. The participants praised the effort as it would be beneficial in their future research projects.